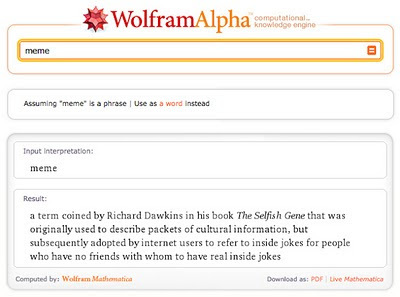 You thought Wolfram|Alpha was scientific and neutral? 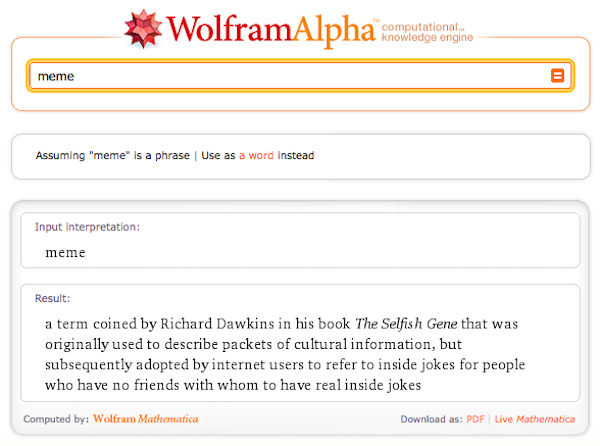 There's a surprise for any digital marketer or geek who searches Wolfram|Alpha for the word meme. If you're in social media then you should be talking about memes a lot. Many of the most powerful social media campaigns are memes or wrapped around a meme. So; what does Wolfram|Alpha say about it?